Scoops are such a vital part of candy shops! Used for all those delicious bulk candies that don’t come wrapped. Place these 16oz. Plastic Scoops in your bins and watch the fun begin. Kids love helping themselves to all the colorful goodies you have available. 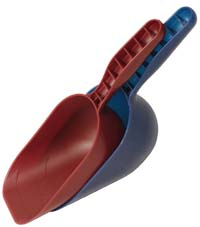 Large scoops work great for candy, bulk grains, or other food items that need to be distributed. With scoops you can avoid contamination concerns as so many people shop through out your day. Make sure to order your scoops today! *Dishwasher safe but Mfg recommends hand wash only! !